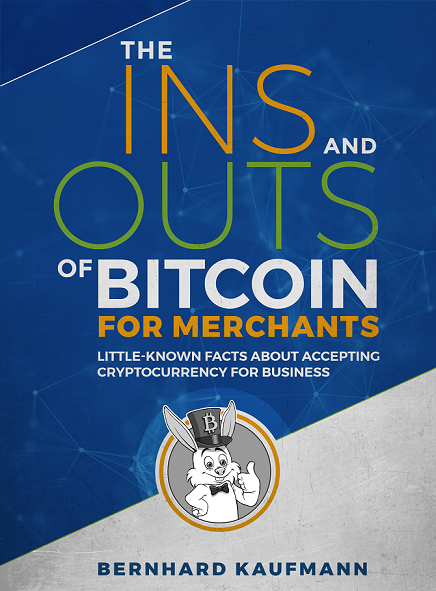 This e-book depicts little-known facts about accepting cryptocurrency for business, including the practical implications associated with the Bitcoin blockchain and its digital ecosystem. It will arm you with basic information, so you can put virtual realities into a real-world context. Chapter by chapter, the content offers deep insights into businesslike scenarios leaving readers with a decision grid that assists with guidance for IT engineers and project managers of technology companies who have an interest in integrating this epoch-making innovation into their applications. The ultimate goal of this guide is to demystify digital currency and to clear up the misconceptions associated with it. If you’re considering adopting Bitcoin for e-commerce, this short, no-nonsense guide will help you understand the ins and outs of payment processing, the regulatory environment and security issues surrounding Bitcoin, and a wealth of information that’s not available in a single, comprehensive source elsewhere. You’ll find a complete rundown of issues you’ll want to consider before launching into Bitcoin payments for the first time. The content bridges the knowledge gap between payments traditionally handled in legal tender and payments made in digital currency.